It’s the third A to Z Challenge! Blog the letters of the alphabet in order every day except Sundays The participation list is HERE – start with the blog after yours and visit at least five blogs a day. Mostly, make new friends and have fun! My theme – I have selected a word for each day and will present to you blogger buddies who fit that description, along with movies, music, etc. 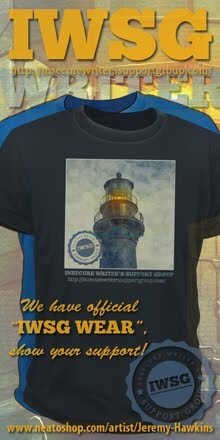 My theme is to give back, highlight some awesome bloggers, and have fun in the process. This woman is a genius. Her posts are so thoughtful and intricate - a dance of words – and filled with several layers of meaning. You can’t breeze through her words or you’ll miss something vital. Suze touches upon the human equation in such a unique manner and it stays with you long after you’ve left her blog. And she adds depth to her words in her kind comments littered throughout the blogging world. Suze, you are a master! Rekha slipped quietly into my blogging radar one day and before the wisp of smoke vanished yet again, I followed her gentle footsteps. Her blog really is the place of dreams. She explores the world in such an introspective fashion, one can’t help but stop at marvel at the simple brilliance. Nothing she says is without purpose, so you need to pay attention. Rekha, thank you for your considerate words and actions! 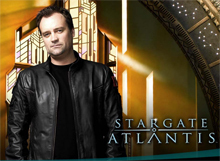 Stargate Atlantis is one of my all time fav’s and Rodney McKay is such a great character. Brilliant and innovative married with smug and obnoxious and yet it’s balanced with such deftness (by character actor David Hewlitt) that he is truly likeable. Every time the team gets in trouble they call upon the ingenuity of one Rodney McKay. The character of Patrick Jane truly sums up ingenuity and introspection. His off-kilter approach to crime solving is a hoot to watch and his powers of deduction are right up there with Sherlock Holmes. Jeremy Hawkins’ new book is available NOW – Retro Zombie: Art & Words! You can watch the YouTube Video or just visit Retro Zombie for more details on this cool book. Jeremy is the creator of some of the really amazing A to Z artwork and a creative writer. He’s also one of my very best friends online, so please take a moment to check out his book. Jennifer Hillier revealed the cover for her new book, Freak. It looks awesome – congratulations, Jennifer! And once the A to Z Challenge is over, everyone is invited to join in the Reflections Post on Monday, May 7 – share your thoughts on the Challenge! I have to write fast so I can still be first! I love Patrick Jane in The Mentalist. I tune in every week! Ah darn it. Someone beat me to the first comment today. I recently got addicted to The Mentalist. I'm really enjoying it so far. Thank you for your generous compliments, Al. Two words: You rock! Know the esteem is certainly mutual. Love Stargate Atlantis and Patrick Jane - you're right, he really is like Sherlock Holmes. Speaking of which, the BBC Sherlock Holmes series is pretty inquisitive (and entertaining). I only watch The Mentalist from time to time. I like Patrick Jane's character but I find I get bored with the rest of the show. I agree with S.L. Hennessy— the BBC Sherlock Holmes is very entertaining. Suze is a genius, you're right about that. Atlantis or The Mentalist? Neither. I like Sci Fi and used to watch Stargate, but don't really have time to follow TV much. And I completely agree with others: Don't miss the BBC Sherlock Holmes series! I know Suze! Gonna have to check out Rekha. I love me some Patrick Jane! I might have to do that reflections thingy. I was just commenting on a few irksome things as I dove back into the challenge today. And LOVE Jenny's new FREAK cover. Can't wait to read it! I'm really looking forward to Jennifer Hillier's next book! I love the way you talk about other bloggers so respectfully. It's beautiful. I did an introspective a few days ago. Ah, Rekha is one of the most recent writers to join the RomanticFridayWriters group. She is posting a couple of flash fictions - for M and W.
Rekha is another new friend from the challenge. I shall have to check Suze out. I am really enjoying your blog recommendations, Alex. Your descriptions are a work of art in themselves! Thanks for all you've done for this Challenge. It's another successful year! Yay... I already follow both of these great ladies. Not only are their blogs fantastic, they always offer great comments on mine! Great to see them highlighted today! A great post Alex, when time permits will look up some of the people you have highlighted. Thanks for the visit, my visit to Gracelands coincided with going to Branson MO nine years ago to see Daniel the highligh of the trip was a close call. Jeremy's created many a blog header, including yours I see - he's highly talented. I met Suze recently through A-Z and Rek in the recent Campaign. Both brilliant in their own ways! Awwww thank you for the intro to lovely dreamy Rekha and cerebral Suze! Good luck to Jeremy and Jennifer! Yay! Yay for The Mentalist! I love that TV show! I love many shows, the mentalist is one of them. What I never understand is, they know Jane see the killer... but they always fight his methods. He solves cases, that is why he is there. Impressive, Most Impressive... to the challenge "I" is for Interesting! Michael, you did it! And it's a great show. Suze, and I'm old enough to remember Schoolhouse Rock. You are most welcome! Donna, good to see you! SL and MJ, I've watched it on NetFlix - good show. RaveAir, it ended too abruptly. And haven't missed the Holmes series. Nancy, that is what the reflections post is all about. Oceangirl, you are always introspective. Pam, that is a high compliment - thank you! Yvonne, I just knew a Daniel concert was involved! Nick, he is very talented. Kitty, Charlie is one smart kitty. Aw, man, I love the Mentalist (though I somehow fell about four episodes behind). Last season's finale was heart-stopping. I so agree... Suze is a wizard with words. I loved Stargate the original film but never got to watch any of the spinoffs. Today I'm a zero. don't know these blogger (I'll check them out). Don't know these shows (no TV). Maybe not all is lost, I do know Jeremy. I haven't seen Stargate: Atlantis. But I do like The Mentalist. Jane can be so annoying and such a charming way. I follow one but not the other. I'll try to rectify that today. My wife is quite introspective. She's awesome. I have a whole new bunch of friends to go visit with! I didn't get hooked on Stargate but I did watch some of them. I'm going to see the Retro Zombie now. Love his theme this year! I have never watched the Mentalist - I've been told by a few diff people that I'd like it, but I never have time.. I love Rodney from Stargate! He was American but he played a Canadian on TV! Love Jane too. So sneaky. I'm so glad you highlighted Rekha. She's one of my favorite bloggers and people, yet tiptoes around with her brilliance as you so well describe. Coming from you, this shoutout is a rare honour. I know I have been lagging in visits all around but hope to rectify it soon. I have been by Jeremy and Suze's blogs though I don't follow them. We don't get to see either of the shows, and you have me majorly interested in the Mentalist with the Sherlock line. My mom is ingenious, I mean she survived the teenage me and big bro for one. Jeremy's art is the shizz. Looking forward to the book. Yes Patrick Jane. For more than one reason. You missed my "F" post. And I thought you might enjoy it. More interesting bloggers to check out and I do like the Mentalist when I get to watch it. PK, need to watch them - better than the movie! Faraway, you are not a zero! Clarissa, my wife adored him. Rekha, you're welcome, and that's funny. Suze is great! I'm now following Rekha. I've never gotten into Stargate. Jennifer's cover looks awesome! I'm a new follower to her. Thanks for the suggestion! I don't follow Suze OR Rekha so I'll have to check out their blogs! I'm off to check out Jen's new cover. She's awesome! Oh, Alex...wonderful post. 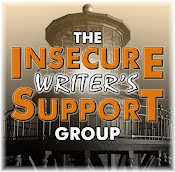 Thank you for turning me on to two great blogs! AND Patrick Jane! The Hubby and I are Mentalist fanatics, because his character never fails to deliver. I love Rekha. She's one of my favorite blogstresses (new word, think it'll catch on? ), and one of the few I knew through twitter first. You're so kind to your blogging buddies, Alex. I finding all sorts of new blogs to follow through you. I don't watch much tv, so can't really participate there. Thanks Alex! I know Suze and Rekha. Off to visit them now and say hello! And good luck to Jeremy with Art & Words! Cool video too. Jeremy's art was fantastic for A-Z! I love Patrick Jane. Okay..now I must get moving...so many things to do and people to visit just off your post! :-) Have a great day! 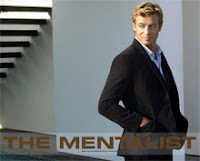 I have never watched "The Mentalist" but I adore t.v. programs. You are the second person in two days that has told me I'm missing out. So I'm gonna have to investigate the Mentalist. The Mentalist rocks! I'll have to stop in at Analog Breakfast and A Chronicle of Dreams. Thanks for the beautiful recommendations. JA, and I couldn't even settle on just one word today. RaShelle, she is! Just such a friendly person. Alyssia, I was watching the show just last night as well! TS, we'll make it catch on. Stephen, and that's the second video he did for the book! Michael, you need to give it a shot. I don't know why, but I never really got into The Mentalist. I think he always struck me as SO arrogant that it made the other characters look silly. I'll have to check out the blogs. I've seen Suze's name pop up all over the place on this challenge! Two new bloggers to discover. New blogs. Excellent! Thanks. I never got into The Mentalist. Not sure why, but I never did. Maybe too much other stuff recording. I've only caught a couple episodes of The Mentalist (love it!). Also love the ingenuity and introspection. Very clever. Reminds me of a young Matlock. I do follow Suze and have had the great pleasure of meeting her in person. She is as wonderful in real life as in virtual life. Thanks so much for the shout out, Alex! So happy to be one of your ninjas! I can't believe I've never watched the Mentalist. Maybe I should rent the DVDs this summer and catch up. Cherie, that would be a wild twist. Mark, eclectic post for my eclectic followers. Hart, if you can catch them on Hulu or NetFlix, it's worth the watch. Karen, awesome you met her! Jennifer, you are most welcome. I'm loving Retro Zombie's A to Z post. Off now to check out the other blogs. Hey there alex, as always loving the suggestions keep it up. Also I was curious if you would want to be a guest on my podcast at the end of the challenge to discuss the a to z challenge and your work? let me know. I love Rodney!!!!! I was so happy when Jennifer chose him instead of Ronin. Thanks for the heads up on Jennifer's book cover. Following Suze and Rekha, and a fan of Stargate ATlantis and Rodney. Great post! now, off to check out Retro . . . I don't watch much TV, although I've been getting into "Shameless" recently. I'm about 1/3 into the first season, it's a good show. Top of my list for ingenious is JK Rowling. I finished the Harry Potter series about a month ago and was blown away, it's some of the best story-telling I've ever read. I, alas, will never be first to respond. But don't they save the best for last? LOL. Finally delved into CassaFire last night. Oh Boy - you've done it again! Loving it - you're writing is fabulous, and Byron is just the character I fell in love with in CassaStar. I've been enjoying Suze's blog. Jennifer's cover is out? Gotta see it! Yes, an excellent TV series the mentalist. I just finished my post for tomorrow And now I'm tired. As soon as I have visited the last for blogs on my list I will go to bed immediately. still wondering how you keep up with it all! you have a magic time piece, right? Ah, yes, Rodney... and his obsession with Sam. Gotta love it. I'll checkout those blogs as soon as I can. Ingenious? That would be my lovely bride. Introspective? I'm always trying. And yes, Subacca is a genius. Teresa thanks, but don't think I'll be able to fit it in. Really appreciate the offer! Rick, she's a smart woman. Roland, apparently it's tough to do! Leigh, some days I wonder how I'm going to keep up! Edi, it's late there - go to bed. Andrew, yes - he so wanted to impress and/or best her! I love both Suze & Rekha. Rodney was a good character. I loved the episode where they switched him with a girl. The Mentalist blows my mind! I'm already following Suze. She's brilliant. I loved Stargate Atlantis and really appreciated Rodney. I also enjoy The Mentalist too though sometimes I fall asleep before it's over. Wow, Alex thank you for pointing toward Rekha. She has a wonderful blog and way of writing. I learn so much from you. Well Alex you have given me two more people to check out for the A-Z. This year has been so huge. My wife is a big fan of the Mentalist and I have caught snippets of episodes but do not watch on a regular basis (trying not to be sucked into my TV and never return). Susan, you miss the best part then. Pamela, thank you so much for following her. Chuck, you start watching you'll be hooked. Ingenious is a perfect word to describe Analog Breakfast. Have to check out Rekha's blog now. Congratulations to Jeremy and Jennifer! I loved her first book, can't wait to read the sequel. Need to check out both Suze's and Rekha's blog. Thanks. Goodness, Alex, you cover so much. I never cease to be amazed. I enjoy the Mentalist as well and will hop on by to visit the bloggers you described with convincing prose!!! I plan on watching them again! I'm trying to get hubby interested. My son and I watched it, when it first aired. Off to make the roads, this bloggers sounds amazing! Alex shared more amazing finds and now I want to watch Atlantis, again ;D I'm tired and looney from an eight hour shopping trip. I love Stargate Atlantis and Rodney was a definite fave. My sister has got me interested in The Mentalist, though I have not watched an entire season, yet. Psych and White Collar are my current crime loves along with Bones. I look forward to Jennifer's next book. I loved her first. Suze's great and I'll take a look at Rekha's blog. Thanks for highlighting the bloggers and the mentalist does it for me. Great blogs to highlight. I've visited Rehka's before so I can speak agreement on what you say. It seems like everyday, you mention at least one blog I follow. Today it's Rekha. She is one talented lady. Giver her a prompt and you get yourself an excellent story in quick order. I can't bring myself to watch The Mentalist because it feels like too much of a Psych copycat/knock off. Great I post. There's so many bloggers around here that fit this description. I totally agree with you about Rekha. Her blog is one of my favorites and she is one of my favorite people!